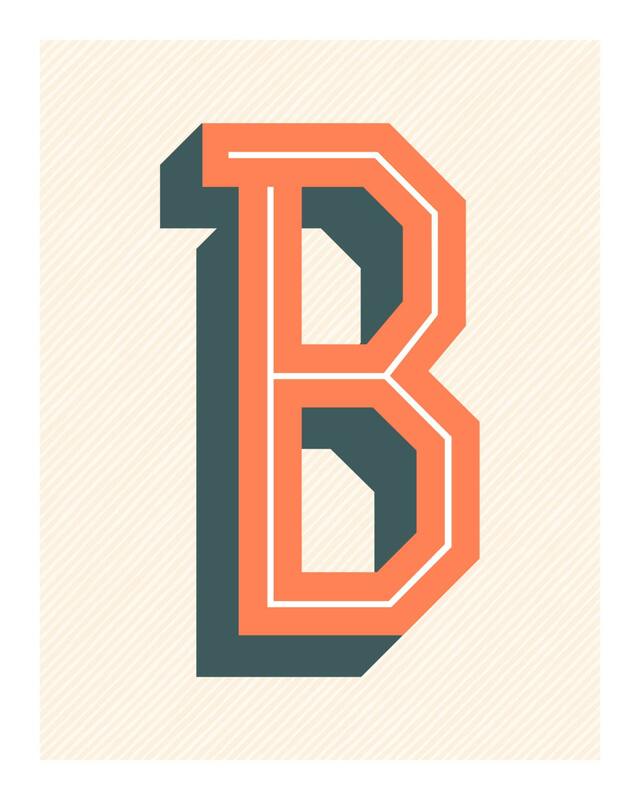 B is for...Benjamin, Becca, Brenda, Blaine, Bradshaw... 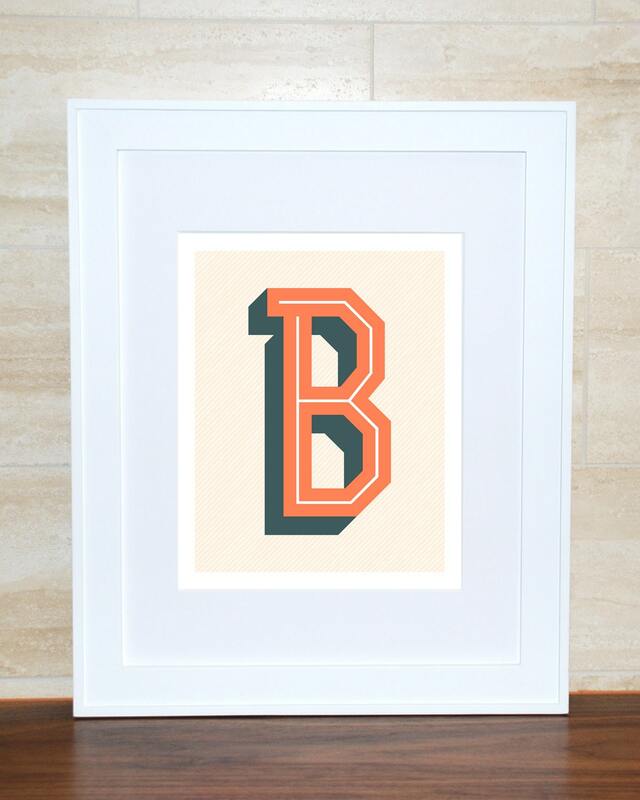 The Letter B is printed in orange with a blue gray/charcoal drop shadow and a white inline highlight on a cream background with a subtle, hand-drawn diagonal pattern. I have purchased Cindy's prints several times and they are always a hit! Excellent service, quick delivery, good communication, and gorgeous prints!